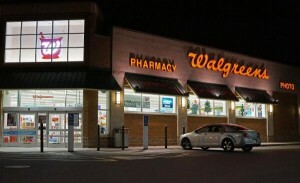 Walgreens is the largest drug retailer chain in U.S. The company has immensely grown since its founding. At the beginning of 2014, it had 8,678 stores spread across fifty states, including Puerto Rico, Guam and the United States Virgin Islands. The headquarters of Walgreens are in Deerfield, Illinois. Walgreens was founded in 1901 in Chicago, Illinois. This was following the establishment of a drug store on Cottage Grove and Bowen Ave. corner in Chicago. The store was owned by Charles R. Walgreen, a Galesburg native. The company had expanded to four stores by 1913. The fifth store was opened in 1915, followed by the opening of four more stores in 1916. There were twenty stores by 1919. Walgreens achieved immense success in the 1920s. The annual sales of the company had skyrocketed to about four million dollars by 1930, in addition to having 397 stores. The store expansion was accounted for by the sale of alcohol, mostly whiskey. The company was not greatly affected by the crash of the stock market in 1929, and eventually the Great Depression. By 1933, the company operated about 601 stores spread across thirty states. The company also expanded greatly in the 21st century. The latest development was the acquisition of Kerr Drug on September 10, 2013. Company headquarters: Deerfield, Illinois, U.S.